Well, it is NOT a group consisting of women ministers or vicars . That’s because the word ‘ministry’ means the act of serving. It doesn’t exclude ministers or vicars – in fact they both often attend Ministry events. The Ministry is open to those from all Christian churches within the South East of England. What does it do? What’s its aims? It seeks to encourage women in their Christian faith, to offer teaching and fellowship. It works with networks and churches in the South East. What does it offer women? A chance to meet together at their own chosen venue and to spend time worshipping, learning and helping each other. Sometimes it’s felt that women do not get what they could from life due to home or outside circumstances. They can be carers with little time for themselves, or living alone with nobody to share their problems. They may just want to spend time with other Christians. They may (though certainly not in YOUR church!) feel that the men in the church have things all their own way with women given little or no say in what takes place or how things are run. The Ministry seeks to try to help by caring and sharing – though never interfering! For a start, they offer to lead an Encouragement Day for any interested group of women and hope it may encourage them to continue to meet and support each other. Where will they go with one of these ‘Days’? Those who attend are asked to bring a packed lunch. What’s the content of an Encouragement Day then? They have a selection of topics which they can bring to an interested group, for example A Day Out With The Shepherd, A Garden of Prayer, A Walk through Colossians and Amazing Joy. Their speakers will lead the worship and even bring a pianist if the host church lacks one. What would I have to do if I went to one of these ‘Days’? As much or as little you wanted. There are sometimes open discussions, or sharing ideas or problems with just one or two others. Sometimes, after a teaching session, there may be a time of feedback when ideas are shared. Sometimes people attending will ask for private or open prayer for something on their mind. You don’t HAVE to do anything. You can simply listen or you can join in the worship and the discussions. They are from various churches in the South Eastern Baptist Association. However, some who get involved with their events are not from Baptist Churches. As already said, people from all Christian churches are welcome to any event. Yes. Every year, they hold a residential weekend at a Christian Conference Centre. In recent years they have alternated between Pilgrim Hall, Uckfield, Sussex and The Oasts at Northiam in Sussex. These occasions are also open to ladies to attend just for the Saturday when there is a varied programme and plenty of fellowship. They are, however, unable to accept men for at these weekends. Men ARE, however, very welcome at the Encouragement Days. How old are most of the ladies who get involved? Some are young mothers who need to have the Days structured to school hours; some are pensioners who can’t get up and running early. The ladies who run the days and weekends are always looking for others, particularly younger ladies, to become part of the Team and to spread the work. Many life friendships have been formed because of its work. 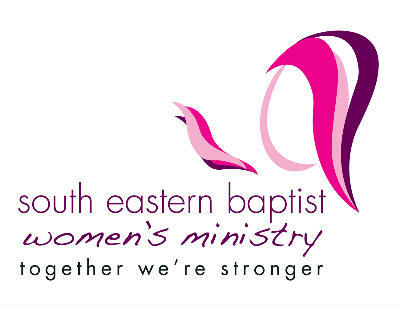 Their Secretary is always keen to hear from anyone who perhaps knows something of what the South Eastern Baptist Women’s Ministry does and would like to play a part in it. If anyone is interested in holding an Encouragement Day or attending one or wants to go to one of the weekends, who do they contact? Start with the Chairperson, Kate Weekes, (to email her, click here). If she can’t help you, she’ll know someone who can! Annual Conference 2020 - Digging for Gold!